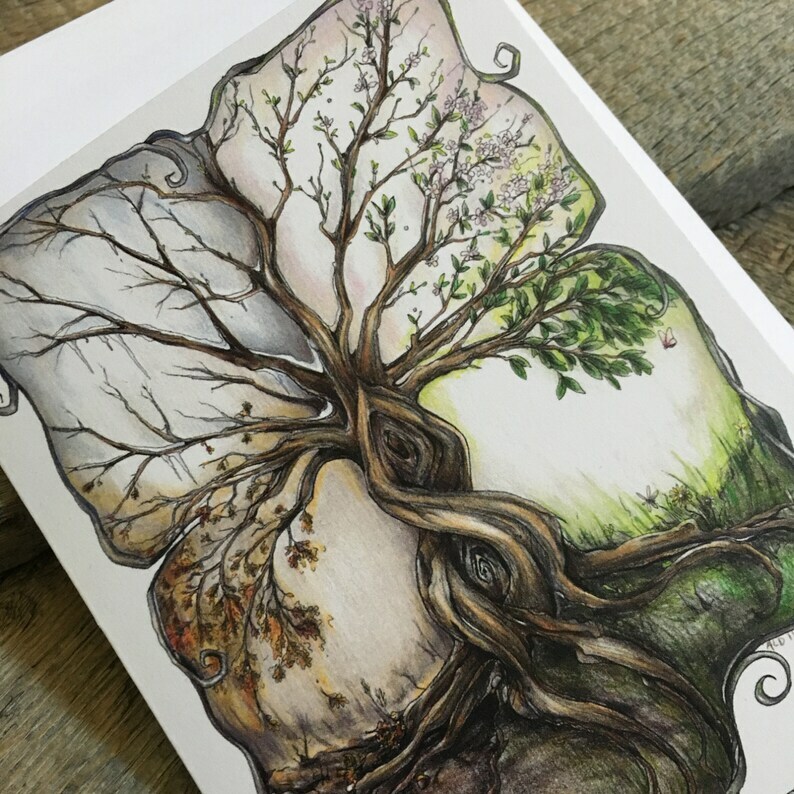 This single, blank note card has a lightly textured matte surface and is a vibrant, high-quality print of the original artwork, created by yours truly in ink and Prismacolor pencils. The card is blank inside and measures 4.25" x 5.5". It comes with a white envelope. Very nice paper and print quality, and the art work is so lovely. Received my beautiful card on time. Thank you!